FRESNO, Calif. (KFSN) -- If you're driving in low visibility on a freeway and looking for your exit, Caltrans has installed handy 3-2-1 reflective exit markers to assist drivers. According to Caltrans, at 2,100 feet before a freeway exit, three raised reflective markers will be placed on the right shoulder. Two markers are placed at 1,400 feet and one marker at 700 feet. After the final marker, drivers should look for the white line on the shoulder to veer right, break, then resume along the exit ramp. This system can be found on freeways around the state but can be especially helpful for drivers in the Central Valley's thick Tule fog. According to Caltrans, fog creates the most dangerous driving conditions -- especially when visibility drops to zero. Statistically, fog-related accidents carry the highest fatality rates. - Reduce your speed to ensure a safe stopping distance. 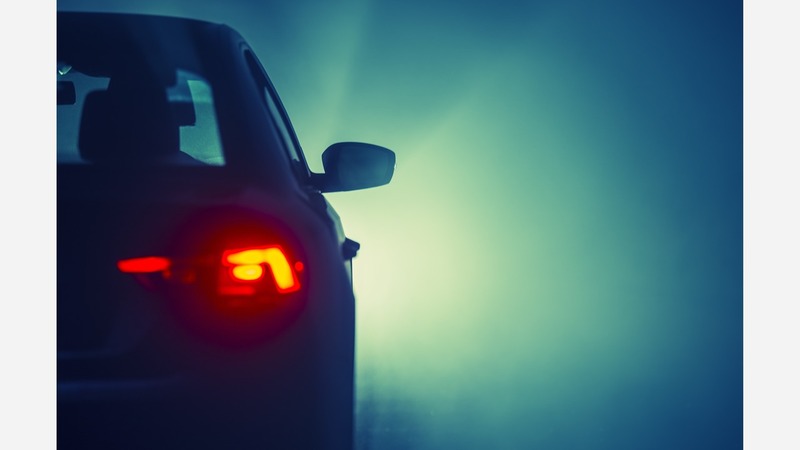 - Be sure your low-beam headlights are on, especially if you have automatic headlights which may not turn on while driving through daytime fog. - Use extra caution when crossing traffic or busy intersections, especially in dense fog. - Lower your window and listen for traffic you can't see. - Use windshield wipers and your defroster to improve visibility. - Be patient and don't pass long lines of traffic. - Use the boundary lines or roadway edge on your right as a guide. - Unless really necessary, don't stop along the freeway or highway.